-strong clip feels like it will hold its shape/keep its "spring"
I moved the clip so that glass breaker is oriented "up" when in my right pocket. Degreased everything, installed clip using J-B Weld for thread locker and on back side of clip (hopefully the clip will NEVER come loose again!). I use it to cut thin polyester rope, (mule tape). It's my daily tool. Liner lock is to stiff. Blade is great material, but difficult to sharpen. The clip screws come loose. Love the knife, the look, the toughness. Hate the weak screws for the clip. Awesome looking, but could have been assembled better. This bad boy is made of S30V steel. Anyone who is anyone knows that's a premium grade steel for a knife, let alone a folder. In all truthfulness, a S30V folder should go for a lot more than the $68 I bought it for off Amazon. 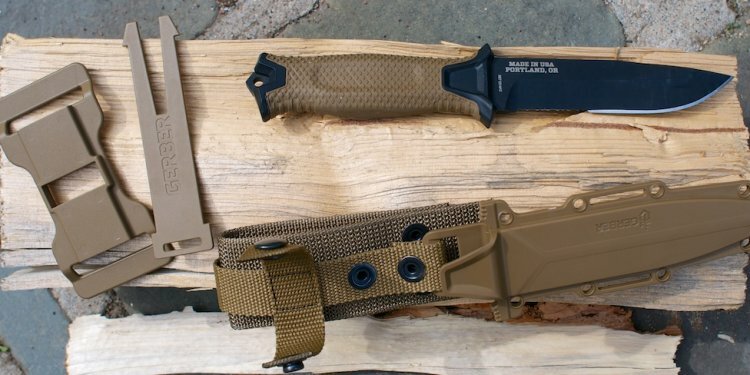 The sharpening of the modified tanto is ten times easier. The liner lock is very stiff out of the box, but I'm sure over time the metal won't bend so far over and it will ease up...so quit your whining that your open blade is overly safe and won't slice your hand, it'll get there. Is there a lot of play in the blade? Yeah, a bit. Is it a problem? In my opinion, not really. What is this, a pocket pry-bar? It's S30V for God's sake, it's not like it's going to bend or snap with any ease anyway, even if you ARE prying open the elevator doors in a burning building. Knives, guns, shoes...most things all have break-in periods. So does this knife. You'll have a good grip, a constantly sharp and durable knife, and a lifetime warranty to boot in case it DOES break on that elevator door. My first Gerber and disappointed. Is not even close to a Kershaw at same price point. I like the blade and shape but handle feels cheap. There is blade play and flipper isnt set right to open knife. The locking mechanism feels like a cheese grater on your thumb. Pro. Comes sharp and i like shape. Feels good in hand once you get it deployed. I've carried and lived with this knife for a while, and I am pleased with it. It is sturdy, keeps an edge and is a good size for most tasks. After a while in the field it still looks brand new, which is amazing since it has had a rough life so far. Word of caution: the glass breaker is SHARP and will rip up your hand every time you reach in your pocket if you clip it in your pants pocket with the breaker orientated up.